7259 n. Hwy 17 is an interesting property with many possibilities. 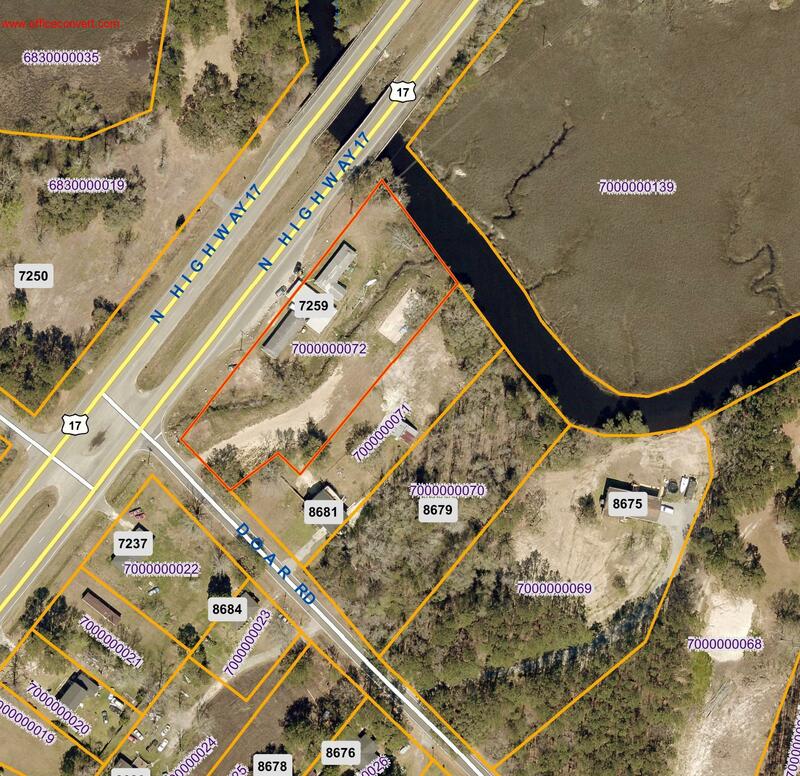 Frontage on awendaw creek, hwy 17 and doar road. 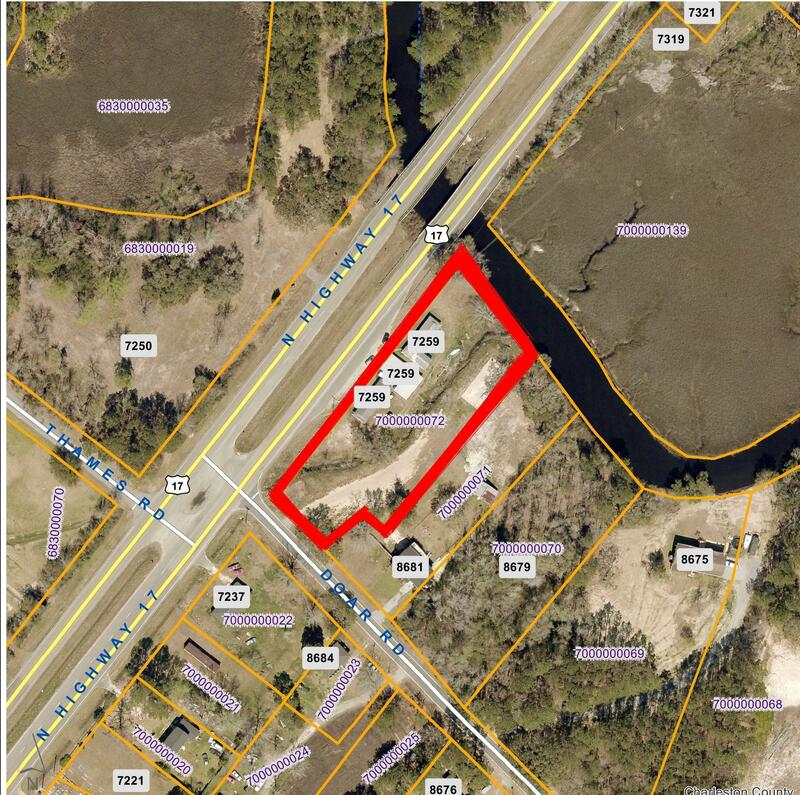 Property is zoned general commercial with 425 feet of highway frontage. 3 buildings totaling approximately 3000 square feet. Listing information courtesy of The Leland Company. The data relating to real estate for sale on this web site comes in part from the Broker Reciprocity Program of Charleston Trident Association of REALTORS. All information is deemed reliable but should be independently verified.